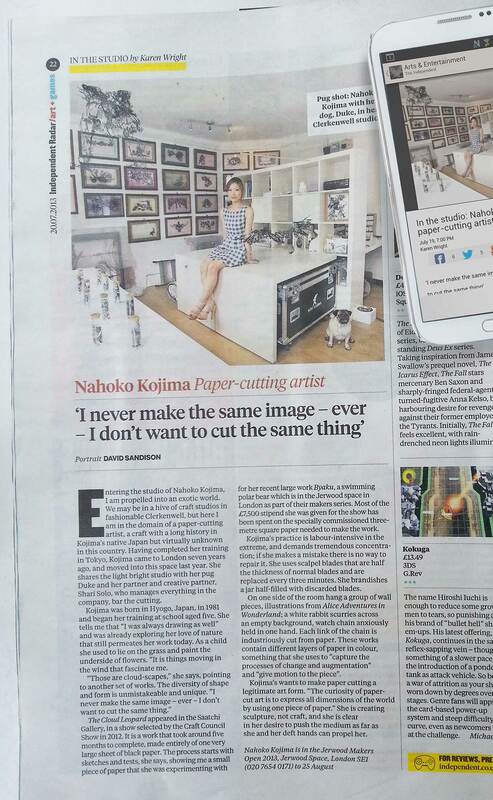 The Independent this weekend ran a story on Paper Artist, Nahoko Kojima and her practice in Studio Solo Kojima in Clerkenwell. It appeared in the newspaper, online and on their app. Thanks goes to journalist Karen Wright and photographer David Sandison – we were very impressed. Read the full article here. The Times also ran a photo of Nahoko with her new Paper Art Sculpture, Byaku earlier this week.